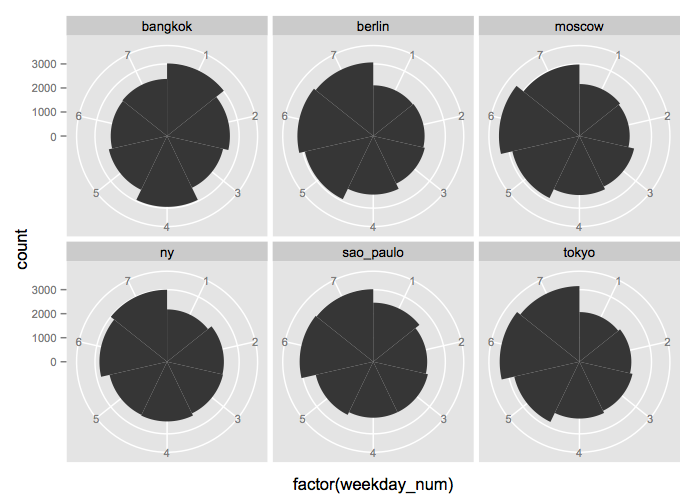 In this post we compare patterns in Instagram activity between six cities: Bangkok, Berlin, Moscow, New York, Sao Paolo and Tokyo. The analysis uses 120,000 images (20,000 from each city). 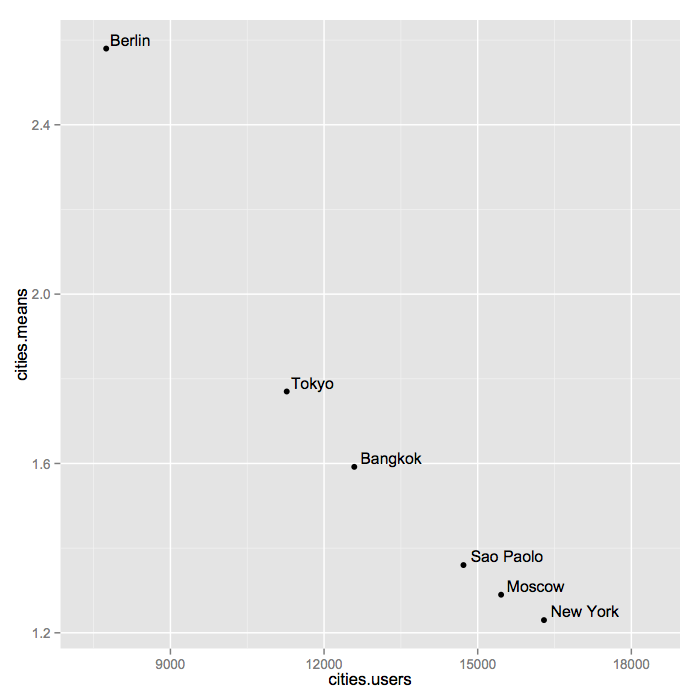 To create this dataset, we first downloaded details of all geo-tagged Instagram images shared in the central same size area in each city during our full week (December 4-11, 2013; over 660,000 images in total). 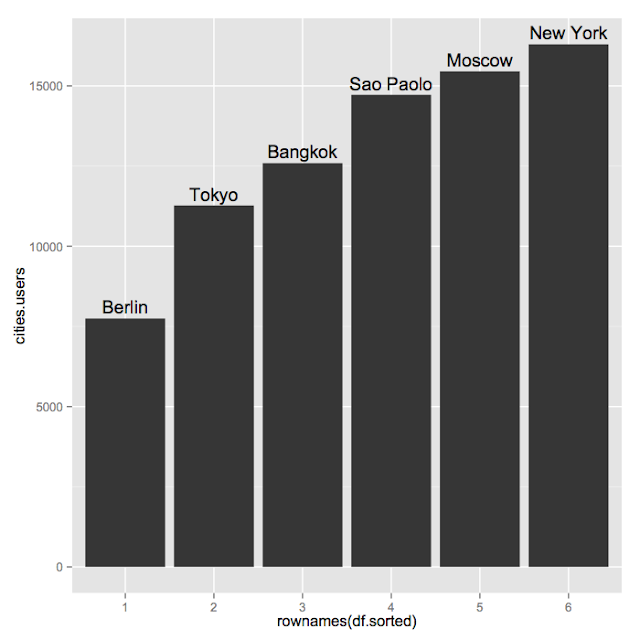 We then downloaded a random sample of 20,000 images from each city. (This dataset was created as part of our Selficity project - see details below). 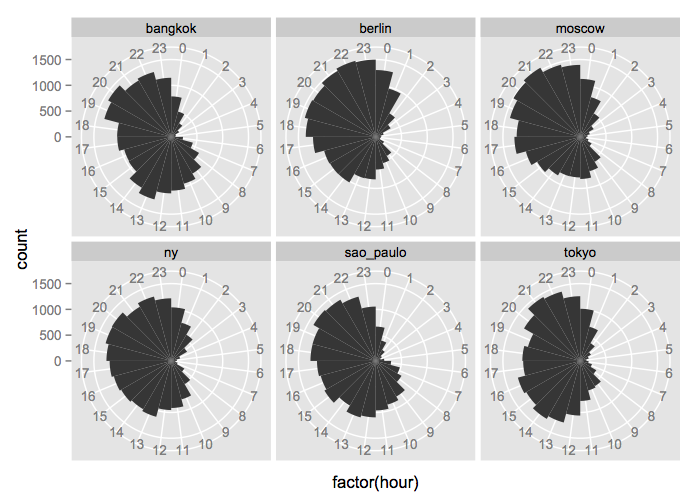 Berlin, Moscow, New York, and Sao Paolo have similar patterns: most images are shared between 1 and 11pm, with the peak around 7-8pm. In Tokyo and Bangkok, there are two peaks: lunch time (1 or 2pm) and evening (7pm-11pm). In most cities, people share most images on Saturday and Sunday. However, while in Berlin, Moscow and Tokyo and Bangkok, people appear to start their weekend already on Friday, in New York and Sao Paolo Friday is no different from previous weekdays. 1. Capture time versus share time. Instagram allows users to post any image from their phones - i.e. users are not limiting to capture and immediately post images with Instagram app. Therefore, the volume of sharing does not directly tell when people take pictures, but rather than they use the app to share them. To create our data set, we used Gnip service to download Instagram data and images, so we were not constrained by Instagram API download limits. Both Instagram and Gnip provide only publicaly shared images. We were only downloading images with location data, which represents only a part of all shared images.